As reports of approaching 20 or more deaths at hospitals attempting to operate with faulty back-up generators came in over the weekend, Reuters noted, "Electricity experts said that outage was most likely due to failures in the transmission system, and that the government lacks the equipment and staff to repair them." Reuters further described "already-scarce food rotting in shops, homes suffering for lack of water and cell phones without reception." 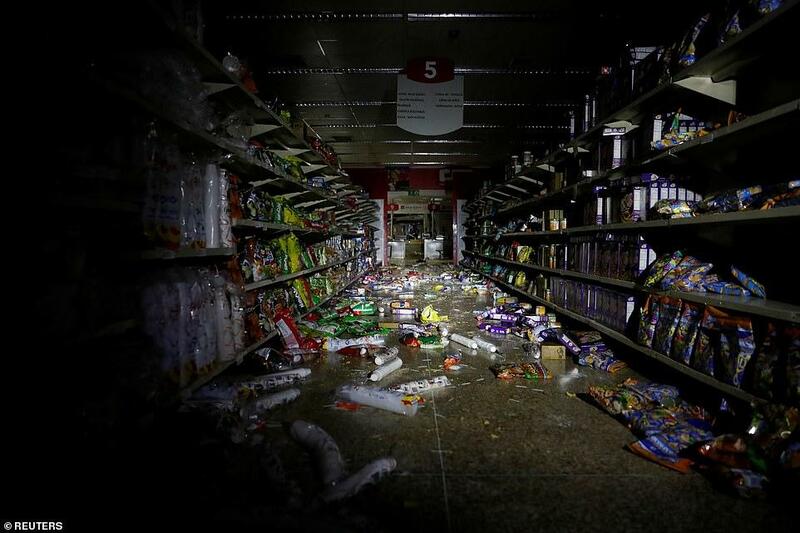 And the Daily Mail reported "Pictures reveal that some supermarkets in the capital have been left ransacked by desperate residents as they struggle to find food." Security personnel have been deployed throughout Caracas to prevent mass looting, though we can imagine that since reports of the water supply being impacted by the outage, people are simply reaching desperation and are attempting any way possible to endure the nightmare circumstances. Photographs showed in some instances looters being piled into police trucks and vans — this as US-backed opposition leader Juan Guaido over the weekend called for nationwide anti-Maduro protests over the failing infrastructure. Most analysts agree the electrical grid mass failure is the result of generally failing infrastructure after years of underinvestment and neglect. Guaido now says he'll request the National Assembly to declare a "national emergency" on Monday in order to hasten the delivery of international aid into the country, an issue of contention given Maduro's repeat condemnation of 'unauthorized' US aid attempting to reach the borders. US-backed Guaido is askeing the National Assembly "to take immediate actions with respect to the necessary humanitarian aid." 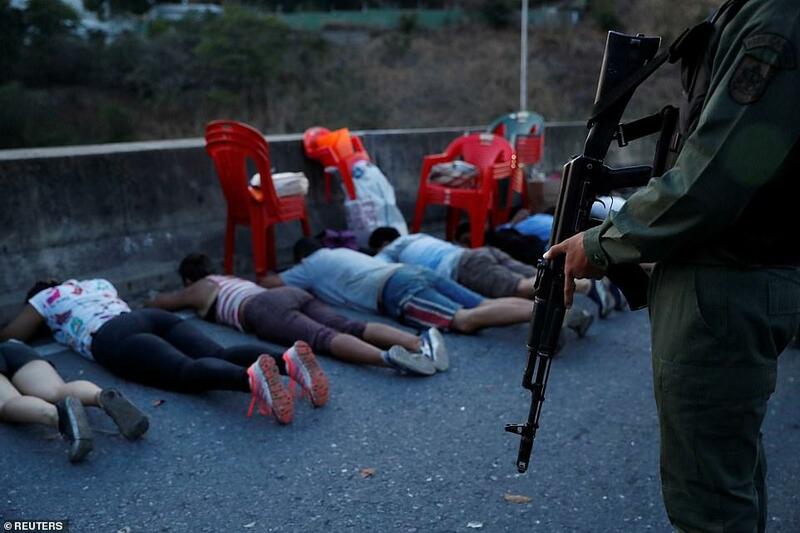 Security forces detain looters in Caracas on Sunday, via Reuters. Worse, an independent organization called Doctors for Health told Reuters that 17 hospital patients across the country have died as a result electricity outages at hospitals, and the unreliability of back-up generators. Looters were arrested and loaded onto police vans in various neighborhoods across Caracas on Sunday, via Reuters. And one unconfirmed and disputed local report said at least 80 neonatal patients died at University Hospital in Maracaibo, Zulia, over the course of the blackout. Though it remains difficult to assess or confirm such numbers, there's near universal affirmation that the crisis has hit humanitarian disaster levels, as things like ventilators and life-saving devices at hospitals fail. As of Sunday, businesses remained shut, hospitals struggled to operate, and public transport barely functioned. Meanwhile the network monitoring organization NetBlocks said 96% of the entire country remained without internet access as of Sunday. Caracas has attempted to communicate official government statements about the crisis through State TV social media accounts, but much of the population now remains isolated from the outside world. 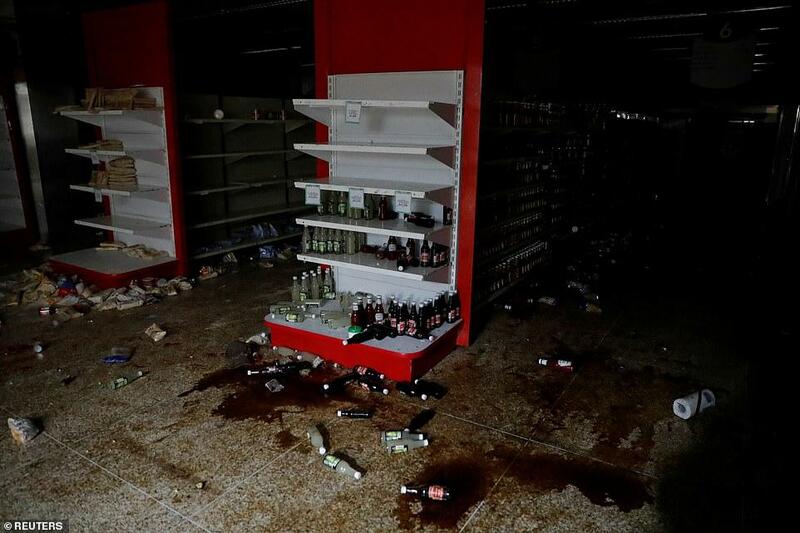 The power supply of the Venezuelan capital Caracas is restoring, TASS reported from the scene. After dark it could be seen that a considerable part of the street lighting system had started operating, and there was light in some houses. 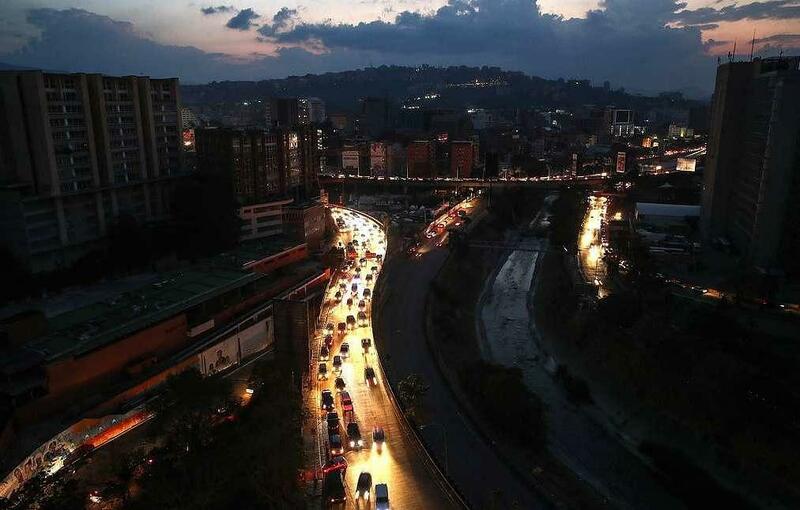 Caracas residents also reported the renewal of the electric power supply. 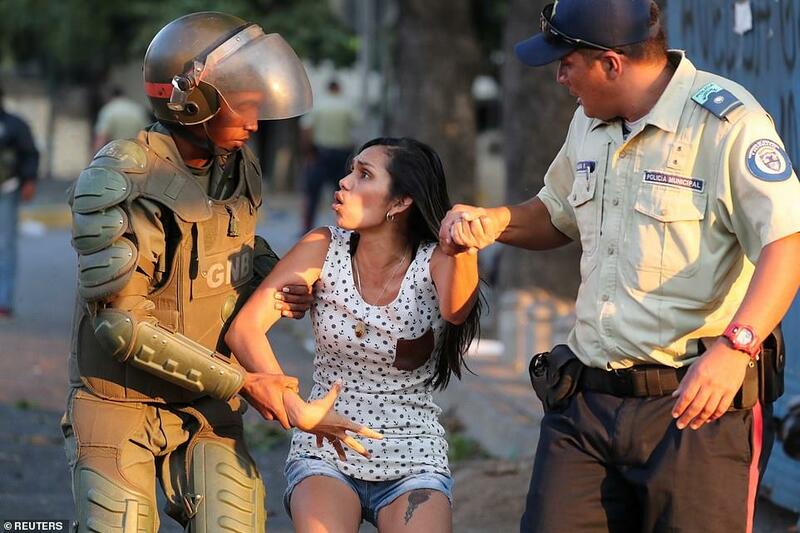 For the most part Venezuelans have attempted to carry on with normal life despite the extreme circumstances.